Raai Laxmi took to social media to share the picture of their meeting and is totally a 'picture perfect' frame. 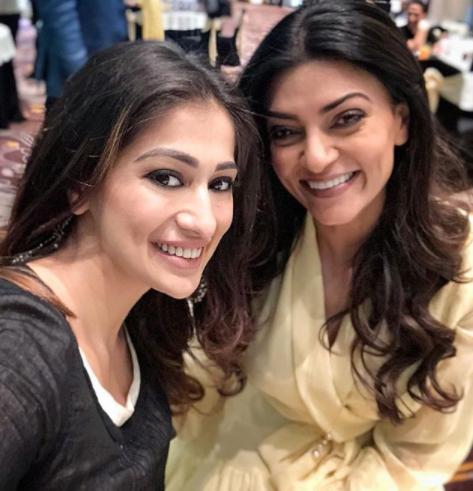 Popular South actress turned Bollywood actress Raai Laxmi recently met Bollywood’s talented actress Sushmita Sen at an event. The two talented beauties met each other and also posed for a selfie. Raai Laxmi took to social media to share the picture of their meeting and is totally a ‘picture perfect’ frame. What do you have to say about this beautiful picture? Share your views in the comments section below.